What Can I Do about Mildew on My Roof? Mold and mildew because are unsightly, and can also cause a whole host of other problems. If left untreated, mildew can weaken your shingles and eventually cause extensive damage and leaks. Whether you are currently dealing with the problem or just want to prevent it in the future, our roofing professionals in Mesa are here to help you. Following these tips will eliminate mildew and reduce your risk of costly damage and repairs. Mildew thrives in damp environments. If you have trees hanging over your roof, their branches can hold very large amounts of moisture. This moisture will contribute to water puddles, and likely cause mold or mildew problems. Keeping tree branches trimmed back and away from the house will keep your roof drier and less likely to build up mold and mildew. When your gutters are filled with leaves, small branches, pollen and other debris, water cannot drain properly. It is extremely important to thoroughly clear out your downspouts and gutters at least twice every year. Our company does a lot of inspections and regular maintenance, so we know how much easier it is to correct small problems than deal with major ones. It is vital to perform regular inspections. You can do a visual inspection yourself, but it is also a good idea to have professional inspections performed at least once a year, or after any extreme weather has moved through your area. If your mildew problem is caught early and dealt with properly, you will save yourself a lot of time and money in the long run. If you notice mildew or mold during your inspection, you want to get rid of it as soon as possible. If the problem is still mild, mix one part bleach with three parts water to create a mildew-killing solution. Place your solution in a spray bottle, and carefully apply it to all affected areas. After the solution sits for 15 minutes, hose it off. 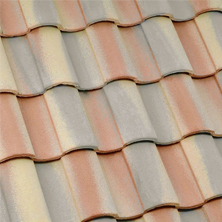 It is important to thoroughly remove all of the bleach solution to avoid any shingle damage it may cause. 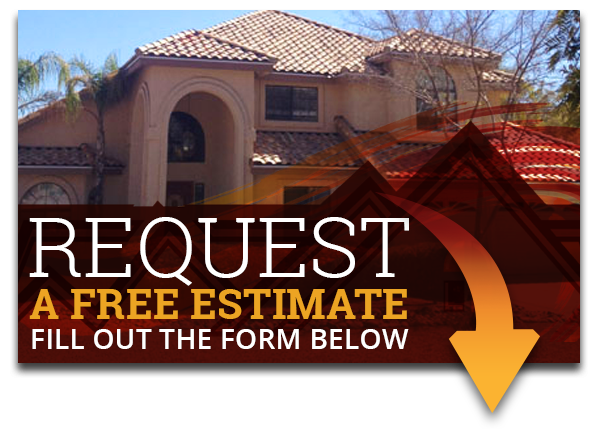 Is your home in Mesa, Arizona in need of roofing services? 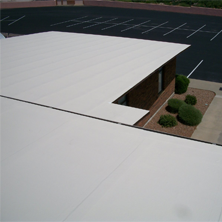 Call Express Roofing LLC today at (480) 226-4245 for the best service in Mesa! 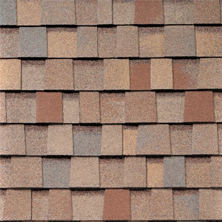 We are experienced with shingles, tiles, flat & foam roof restoration, inspections, repairs, and many other services. So contact us today for more information if you have any questions or concerns. Our experienced contractors will be glad to help you to their best ability. Our customers are very important to us as we want to provide them with great quality service.